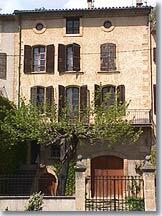 The Departement of Bouches du Rhone - Pop. 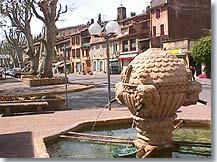 : 4.180 h.
25 km from Aix en Provence and 30 km from Manosque via the RN96. 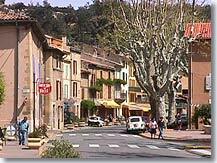 Between the Durance river and Mount Sainte-Victoire, Jouques is peacefully situated at the intersection of four Departments. Built at the summit of a fragrant hill-side, with its small valleys and wooded massifs, Jouques is not visible until you have rounded almost the last corner on the road leading to the village. 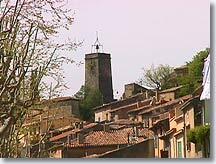 Jouques is a typically small Provencal village with a peaceful and serene atmosphere. Its rich rural heritage of "restanques", "bories", oratories and chapels offer a fine pretext for discovering the superb natural environment which surrounds the village. Numerous artists, painters, sculptors, potters and photographers have been inspired by the picturesque countryside, the colours and the light of Jouques. 10th and 14th century Saint-Pierre church. 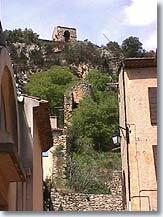 12th century church ND de la Roque. Chapelle ND de la Consolation (medieval). Oratories and fountains. 13th and 17th century archbishop's palace. Château d'Arbaud. Mountain biking circuit. Walking tracks. Boulodrome. Tennis. Music festival and horse-show 21 June. Pilgrimage of the Notre Dame de Consolation, beginning of September. 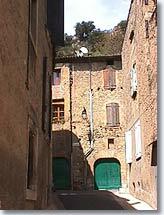 Village festival, the first Sunday in October. 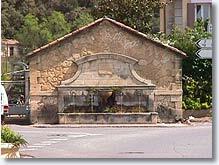 Peyrolles (6km), Rians (11km), Saint Paul lez Durance (12km), Mirabeau (14km).